It’s that time again. Yes, already. A new core set, called the Apollo core set has been released. The Apollo set replaces the Hades core set as the premier wonder and super wonder core set, and the stats are so good they’re just silly. The “Radiant Pauldron” recipe was originally INCORRECTLY posted on the blog, but is correct now. 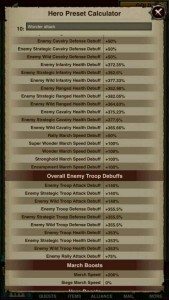 Here are the stats, which were compiled on LINE so I’m not actually sure who the original crafter of these two sets are. If they are yours, please let me know and I will post a credit for you. Also, I am not sure about whether or not these include the correct armor secret recipe. 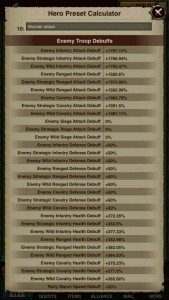 If we’re trying to summarize Apollo concisely, it’s a wonder/super wonder core designed to massively debuff any troops an attacker might send at you. 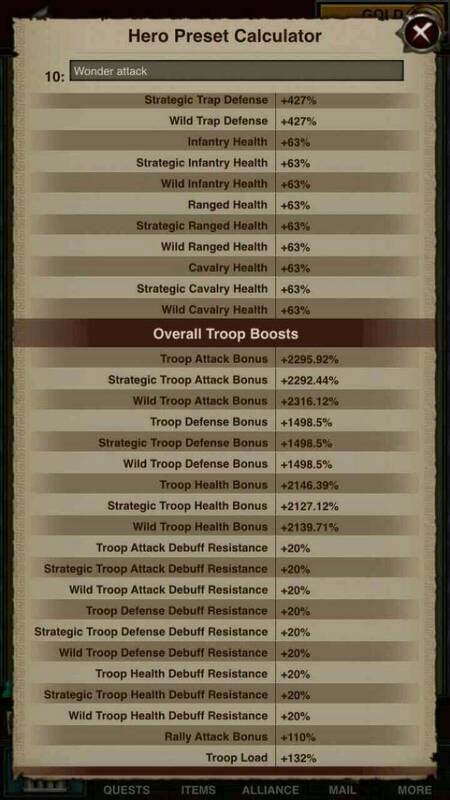 There are relatively mediocre Troop Type Attacks (Infantry/Ranged/Cavalry individually), but this is paired with well over 2000% Troop Attack. 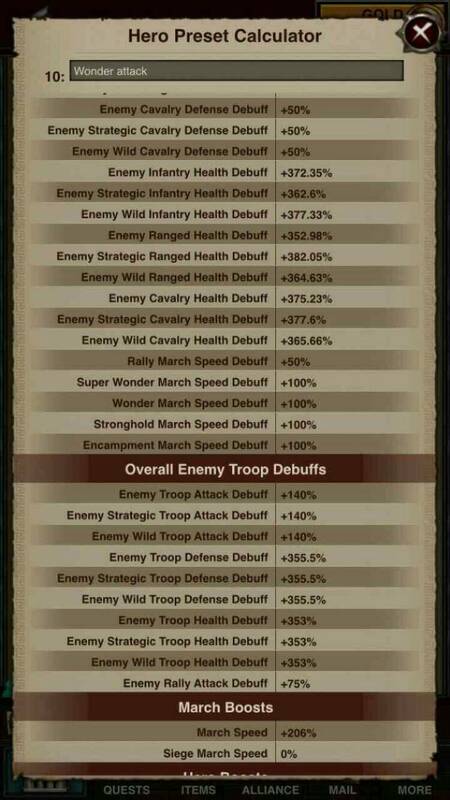 There’s also solid Troop Defense for a wonder core (just under 1500%) and nearly 2150% Troop Health. 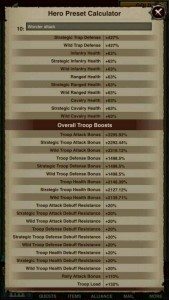 Troop Type Defenses are also buffed. 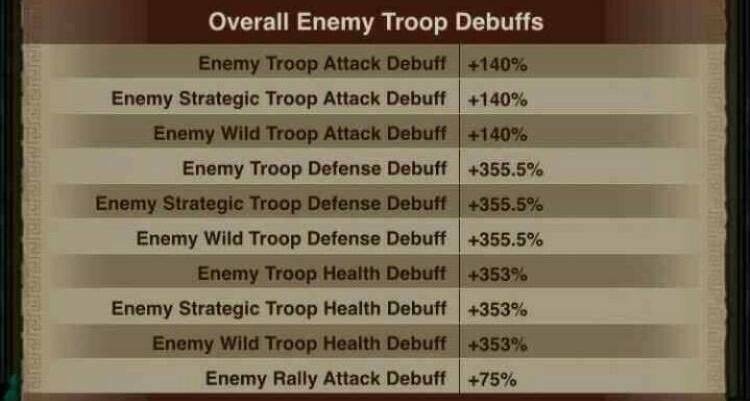 This is coupled with massive Enemy Troop Type Attack Debuff, as well as Enemy Troop Type Health Debuff to make killing the incoming rally easier. 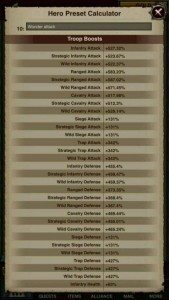 All of these stats add up to make the best wonder defense cores to date. The first impression I’ve gotten of Apollo from watching the super wonder is that it is superlatively successful at defending the wonder; far better than any set prior to it. The number of times the super wonder changed hands seemed vastly lower than usual (no data to support this, my speakers just didn’t make that “wonder conquered” dingle every time a new alliance got the super wonder nearly as often). 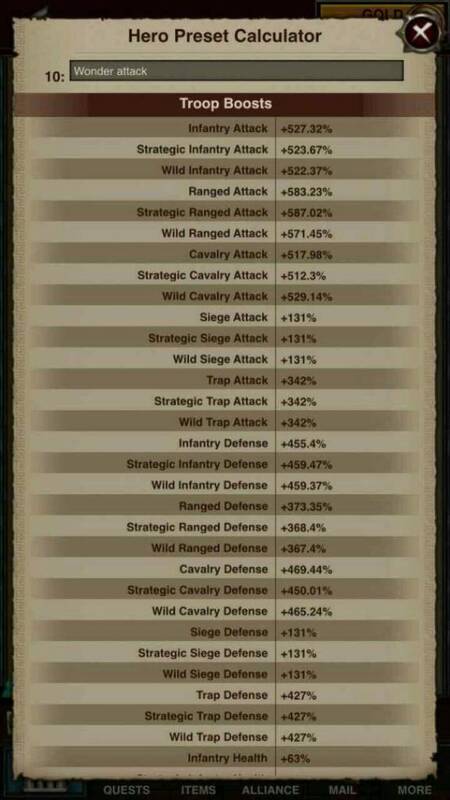 As you can see, the stats are quite impressive when a small troop total is defending, which is the case when talking about any wonder battle. For those that have used a set of Apollo, what do you guys think of it? 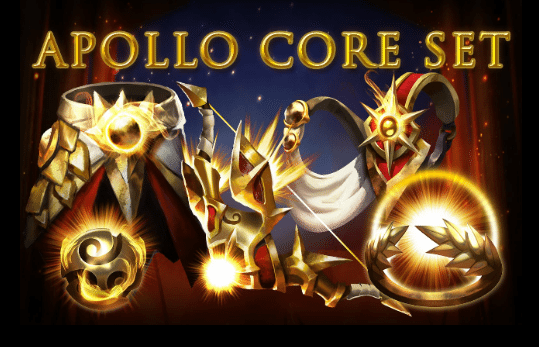 You can find full details of the core set on our Apollo Core Set Page and try out your own customizations in the Core Builder Tool. LATEST: you thought apollo was bad? 6 spend infernos in a row in our kingdom today. 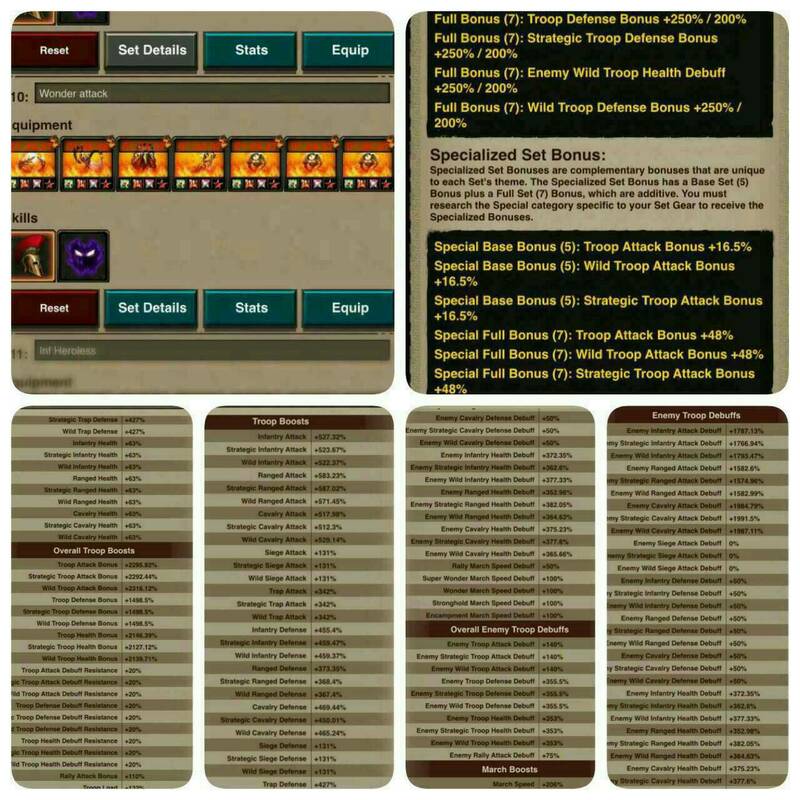 You too could win all the prizes in this inferno event for the low, low price of $100 USD! I don’t know guys, I think this might be it for GOW. It’s too bad I really loved this game.??? The set bonus on this is wrong. 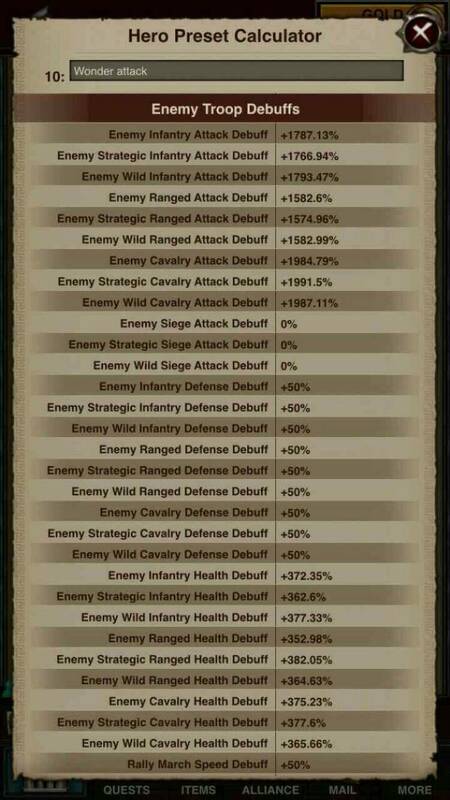 Max is 31/99 troop attack. That’s on the five and seven. Just rolled this today and sent it to Bake. Let me know and I’ll email you the screen shot. Seriously, guys, it’s far past stale. We all know the business model for this game by now. Either you accept it, and keep playing, or you don’t, and quit. Either answer is perfectly fine and defensible, but neither answer is some kind of religion to which you can convert people. Make an adult consumer decision to buy the product or not, then move on. Continuing to pound the desk on every…single…post….accomplishes nothing but making yourselves look childish. It’s funny people are talking like MZ has completely changed the game. Actually it’s been like that right from the start so what took them so long to realize lol!? I still enjoy the game for what it is. If you listen closely you will hear Nero playing the fiddle. Any predictions on pull the actual plug date and what packs will be when it all comes crashing down? I am thinking 4th of July they go out with a bang and packs will be 10mil gold, 50k days speeds, and 500bil RSS with 25k of each chest… the EXCLUSIVE, LIMITED, ONE TIME ONLY Sale will be just to try and fleece as many of the remaining fools as they can. Comment on the Below: SchoolBus is without doubt on the MZ Marketing Budget Gravy Train… with exception of a few extremely blind foolish people, that’s about all that’s really left in the game. I have to wonder if those who are on it will be offered positions to run the kiwi buses? They can be planted riders showing happy faces when their bus fails to show up on time or is cancelled due to the inferior cloud technology they got con’d into using… Good times down under!!! On a separate note, SW also changed hands relatively less because School Bus basically took it home uncontested. It was fairly clear by late Friday evening that he had it in the bag. Of course, I’ll never quite get why all the massive trillion powered super alliances decided to block for him instead of contesting it and making a game of it, but hey, congratulations to him. Yet another thing released for the sole purpose of forcing people to spend money.